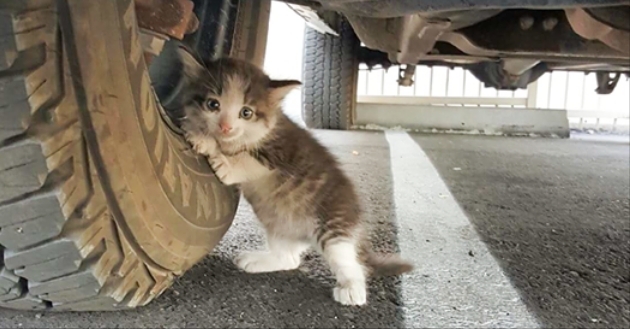 When this good guy saw a scared kitten clinging to a truck near his office, he just couldn’t leave her like that. Turns out, “the mama kitty ran off… and ditched the kitten. 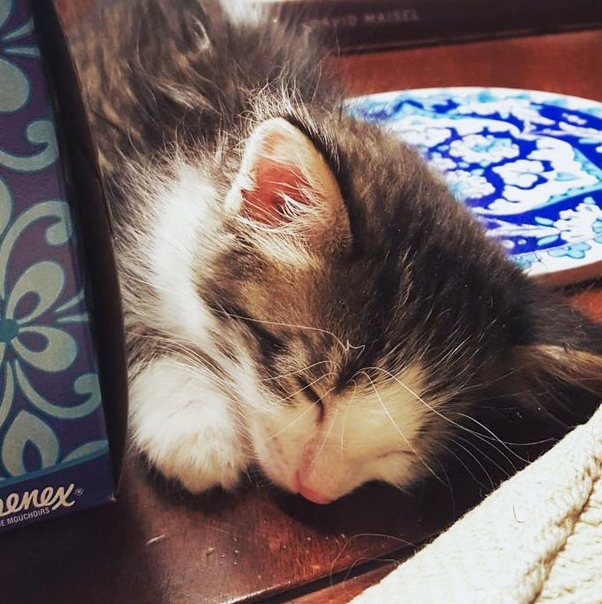 No other kittens could be found,” – redditor JustAnotherGoodGuy explained. 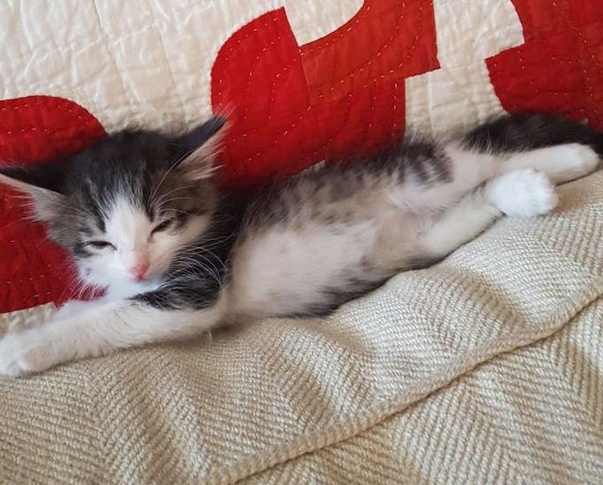 Immediately after finding the kitty, the man sent the picture to his wife asking “can I bring it home?” His wife’s reaction? “Who could say no to that face?” – she said. 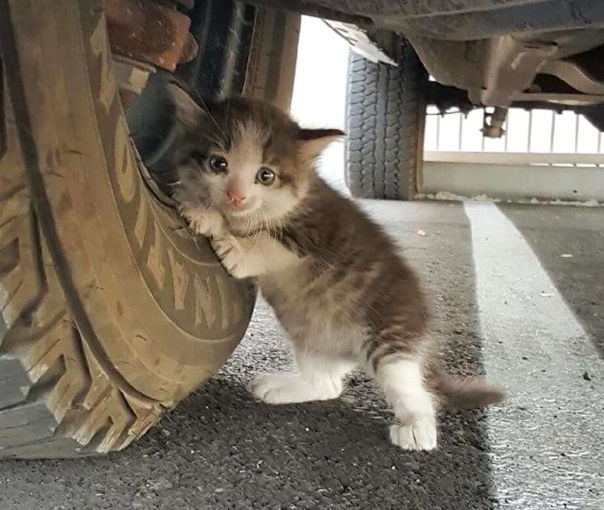 Stray animals are exposed to a variety of dangers, the least of which are tangles with cars at red lights (though that is a huge and, sadly, often fatal concern). Disease, malnutrition, exposure to the elements and violence at the hands of humans are all risks that homeless animals face on the streets. 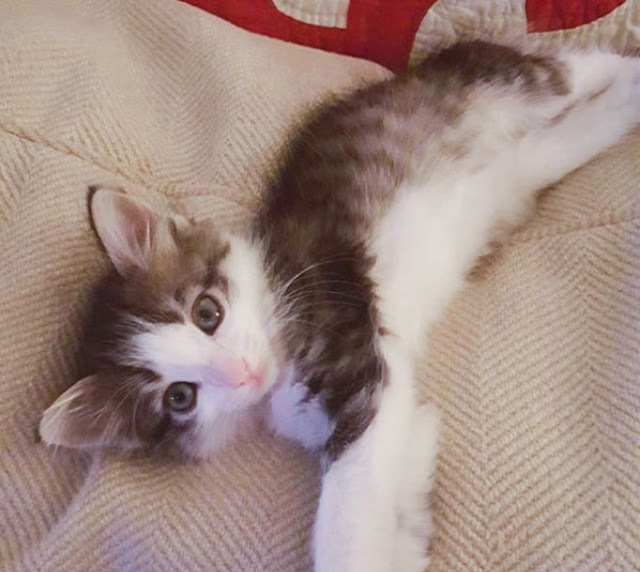 Responses to "A Guy Found A Scared Kitten Under A Truck And Just Couldn’t Say No To Her"
Thank you for saving Axel. Thank you to the man's wife for being open to the rescue. Thanks for saving this poor little kitty God bless you.